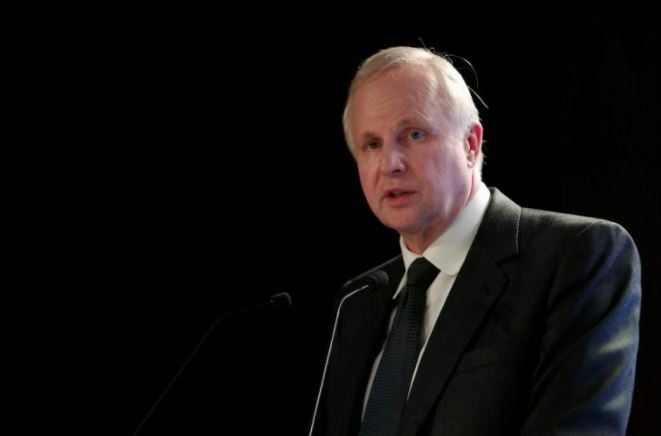 LONDON (Reuters) – BP (BP.L) is in talks with electric vehicle makers on partnering to offer battery re-charging docks at its global network of fuel service stations as it seeks to benefit from the move away from diesel and petrol cars, Chief Executive Bob Dudley told Reuters on Tuesday. The expected rapid growth in the use of electric vehicles in the coming decades is threatening oil companies’ business model as demand for some road fuels could plateau as early as the late 2020s, according to some oil company estimates. Looking to take a slice of the growing market, London-based BP is however examining different ways to get involved in the sector. Dudley said in an interview. Rival Royal Dutch Shell (RDSa.L) has already launched a pilot scheme to install battery charging docks at a few of its service stations in Britain and the Netherlands. The number of electric vehicles on roads is forecast to grow significantly in the coming decades, particularly in cities, with BP estimating that there will be 100 million by 2035, up from 1.2 million in 2015. Dudley has been a vocal advocate of the oil and gas industry’s need to take part in the move away from fossil fuels toward using cleaner sources of energy in order to combat global warming. But BP, along with rivals including Shell have yet to come up with a clear plan for increasing their interests in renewable energy production such as solar and wind. he said, referring to BP’s previously unsuccessful ventures into renewable energy, including solar power.